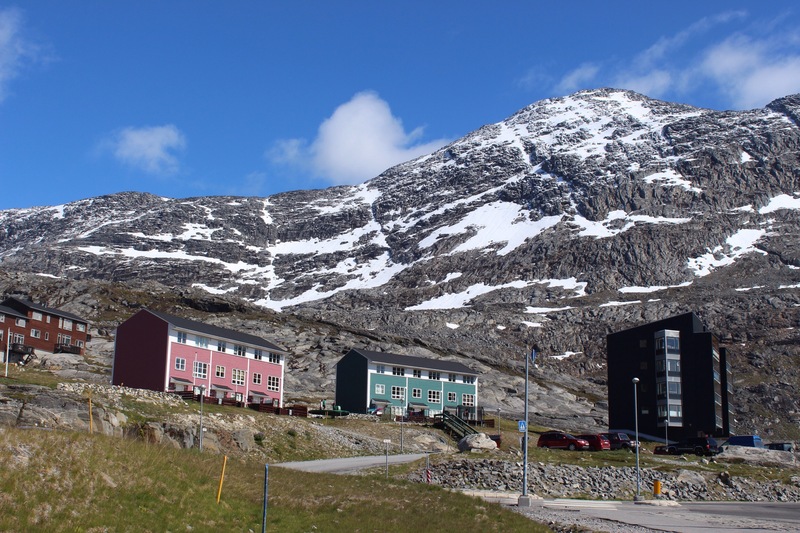 Nuuk’s welcome was unseasonal, torrential rain. 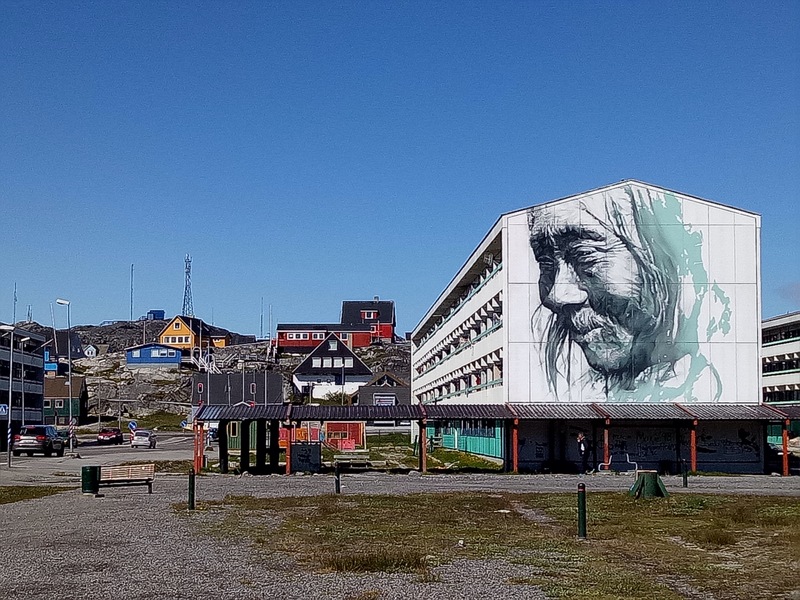 Luckily, in Greenland’s biggest city, there was an opportunity for indoor activities. Walking through the town centre there was the same colourful architecture of other towns, with a more industrial, inhabited feel. Some warehouses, some flats, lots of street art to brighten the place. 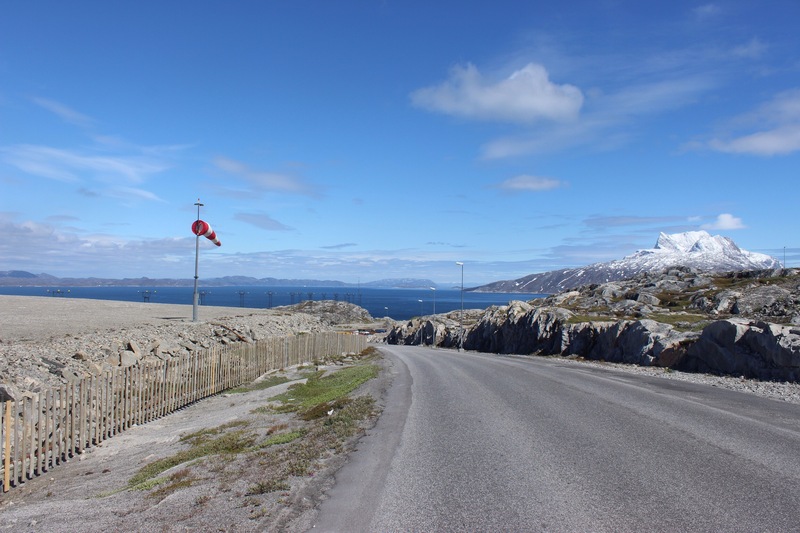 On a peninsula surrounded by hundreds of islands, each part of Nuuk was close to the water. The eldest part of the city in the bay had low, old houses, well spread out as if unaware of the city that now engulfs it. The city was founded by Hans Egede in 1776, the first town of Greenland, and his statue is now standing proud on the hill looking out. 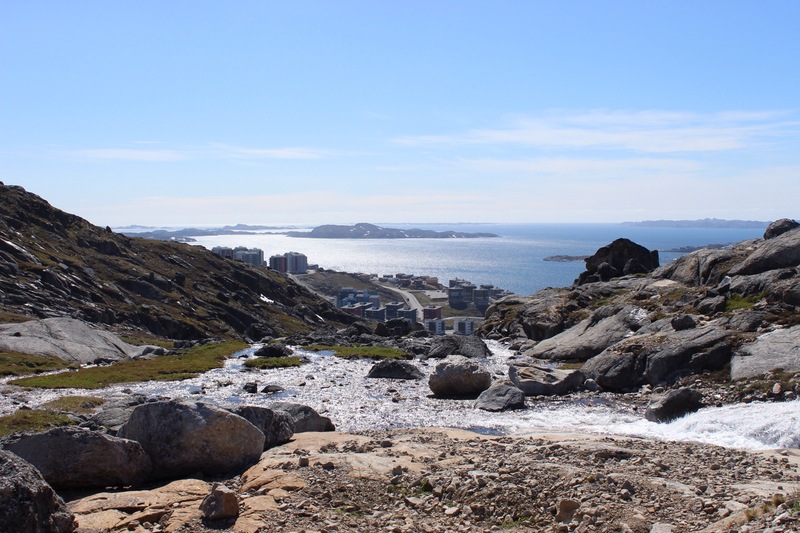 The National Museum of Greenland explores Greenland to first settlement to modern day. Despite the many conceptions of Greenlandic people, the close relationship with Denmark means modern imports and regular interactions. The country was closed until 1953, said to be to protect the people from infection and spread of disease. 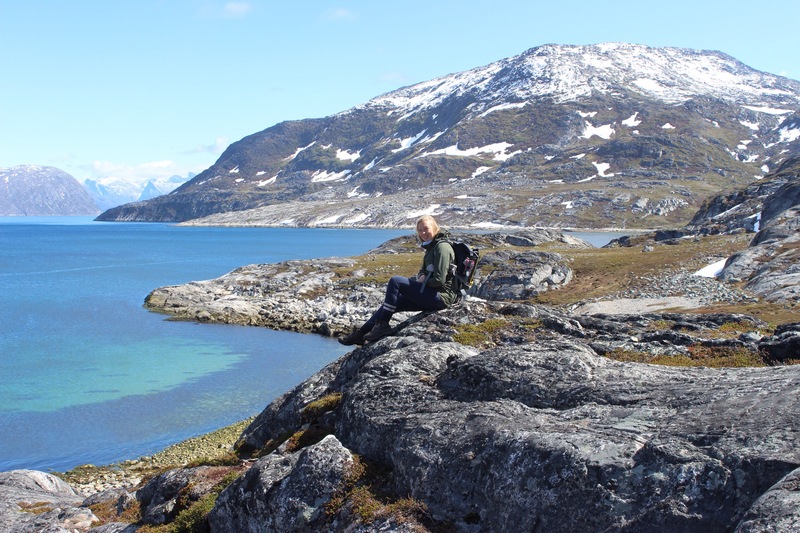 The current people descent from the Thule people, however there has been settlers in Greenland far beyond. The first settlers were the Saqqaq people who came across from Canada. Estimated to have arrived in 2500 BC they died out in 900 BC, but were shortly followed by the Dorset people. 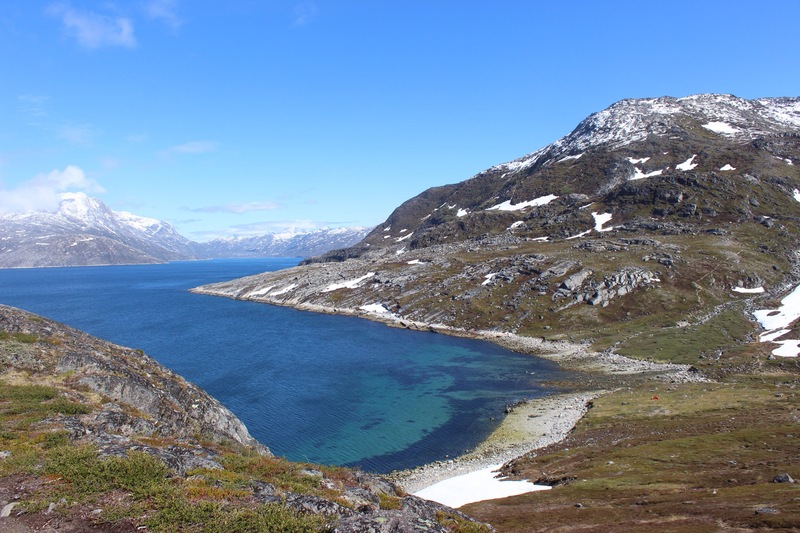 From 1200-1400 the Inuit people spread out, encountering the Norse farmers who had inhabited south Greenland. Two nations very much unaware of each other. We escaped the bitter cold at Katauq Culture house where Greenlandic food was served with a very modern feel. Hands around a large hot chocolate, it felt like a very alternative version of summer. The second day brought bright sunshine and the view of the mountains which surrounded the area, now capped with snow from the day before. We caught the number 3 bus to the airport, one of three bus routes which rings the small city. From the airport, little red planes we coming in and out, shuttling people to other parts of Greenland. Our track followed over rocks and boggy grasses, gently climbing up and up as we skirted the coastline. 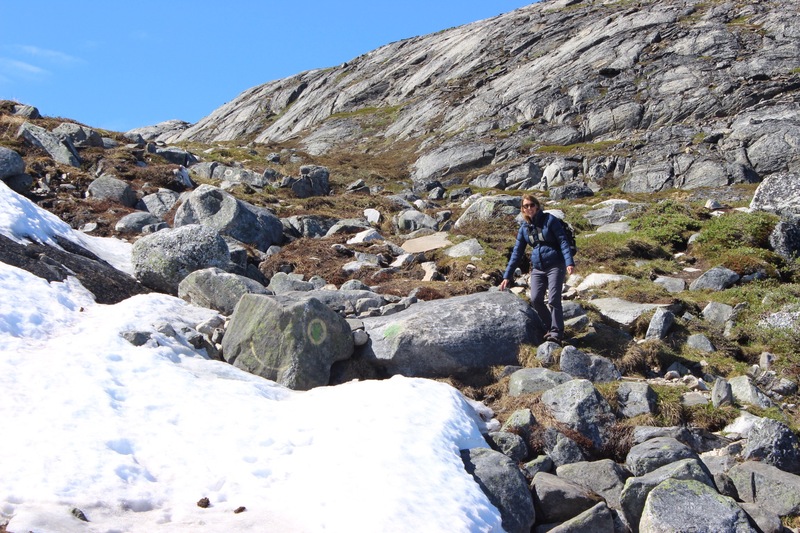 Our days walk passed inbetween Nuuk’s two mountains, Store Malene and Quassussuaq. There was little to mark the path except small evidence of footsteps in the giant landscape. 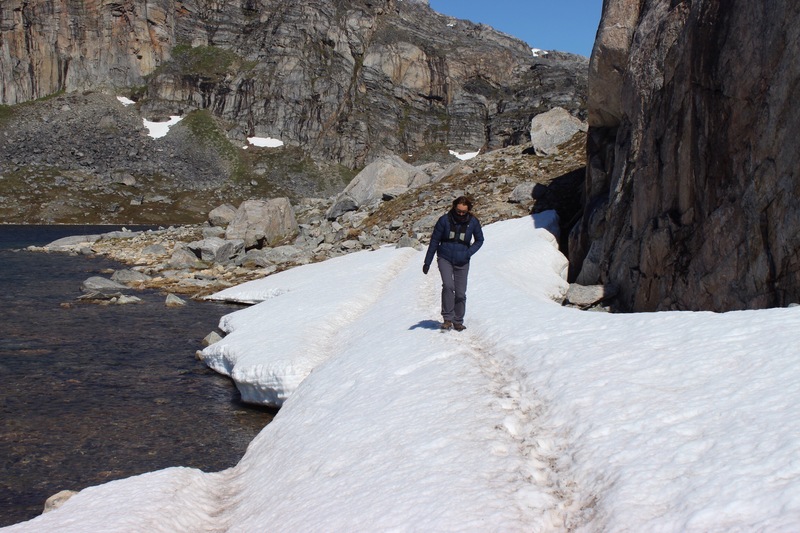 We passed snowy plateaus and vast lakes, the sound of moving water magnified in the valleys. As we began our descent, the coastal city was visable in front of us, dwarfed against the scenery, people proving insignificant in the vast vista. We stopped on a rock by the water for a late picnic, and before long my gloves were washed downstream. Mum and I both jumped up to scramble over rocks and catch the gloves. They caught on a rock which slowed them down, however it was out of reach, and with the lack of sticks and trees, led to some interesting stepping stones and gymnastics to dislodge the gloves, a now memorable spot! From the suburb of Qinngorput we caught the number 1 back to the centre. We sat at Katauq culture house outside in the sun, vastly different to our visit the day before. We sat for the late hours of the afternoon, people watching the conveyor belt of passers by, thinking how quickly this place could become familiar. On our final morning we packed up and took a stroll to the beach close to our flat. The nearby industrial estate spilled out, quite literally, to the coast. In the tangle of bits and bobs, masses of seaweed brought the refreshing pugnance of ocean air. 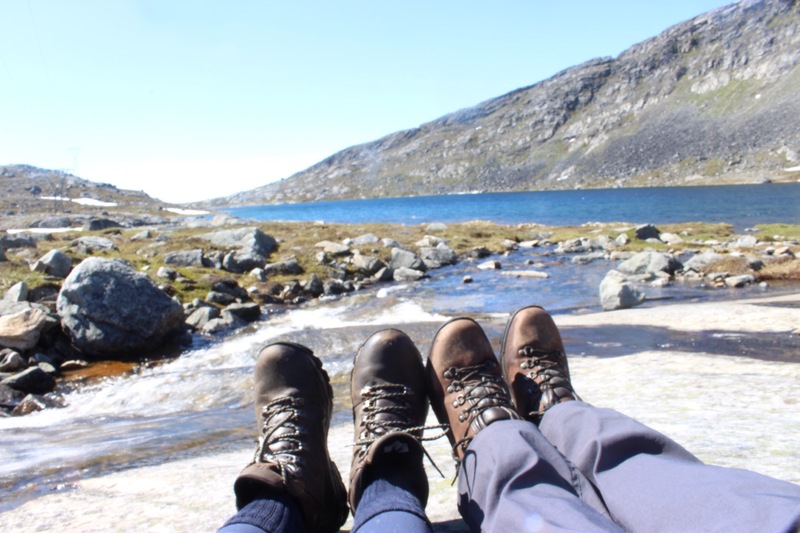 We sat looking out at the vast sprawl of islands, finding it hard to believe we would be ending our trip to Greenland at the beach. From the little airport bus we got to the little airport terminal. After personally escorting our bags through security, we got on a little plane, on a little runway, and left this large island. We climbed high over fjords where glaciers met the ocean, and eventually over endless ice, the huge icecap of Greenland.